Hi Julie,ur fish luks yumm and vivid.Appetizingly Good click.I was looking for this recipe or its Bengali Version for a long time.Thanks for sharing and dropping in. Ethokke kanumbol sherikkum vaayil vellam varunnu..
baked fish sounds interesting, i like the dishes which is wrapped in vazhayilas..it would have been very flavourful rt..
Thanx all for your quick compliments..
@ Sobha: Yes,It was very flavourful!! It sounds like such an authentic recipe ~ loved it! Wow! Baked fish! It looks very lovely and flavourful! I'd love to gobble that! Wow.. the fish looks absolutely delicious... must try some day.. bookmarking it..
i always prefer policha fish over the fry one..but its really time consuming and a bit tedious... hats of for u...u have done a wonderful job. We too make it the same way but with slight variations in the masala..
Wow wat an authentic dish, makes me drool..thanks for visiting my space..
Looks fabulous and nicely presented! Looks delicious. 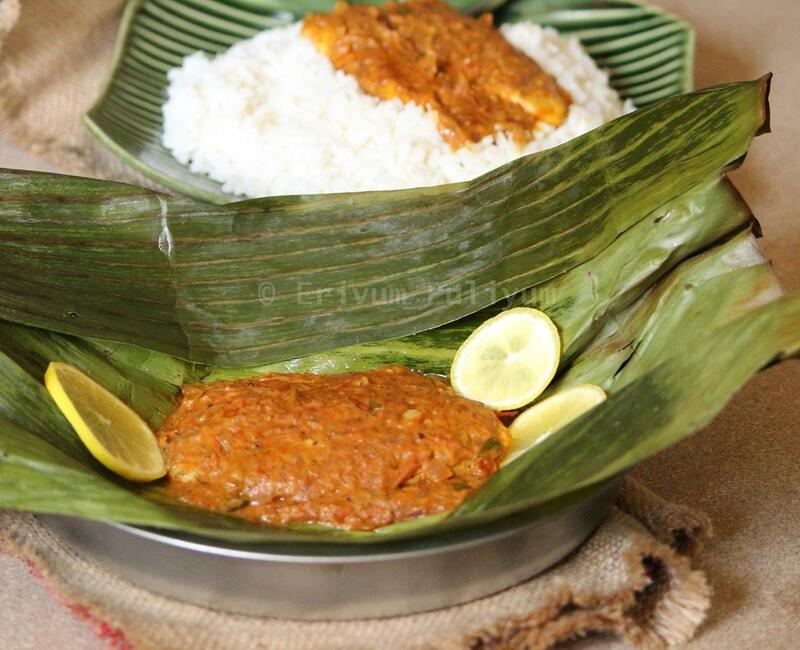 Baked with banana leaf is bringing a feeling of authentic dish. First time in ur space...I have been inactive in blogging for a long time...Will follow u .This looks adipoli !! Hi Julie, like your new blog home :) What does the title mean? lovely colors.. I love the way spices stick to the fish..
Flavorful recipe looks tempting and delicious. 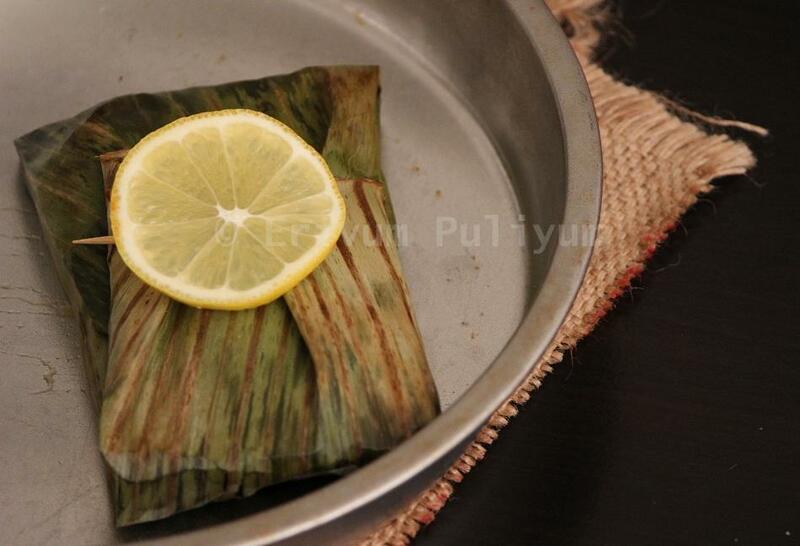 Hi there Julie - the name of your blog drew me here as I immediately craved something with erivum puliyum :) I have helped my mom-in-law make Meen Pollichathu when I was in India last, never made it on my own! 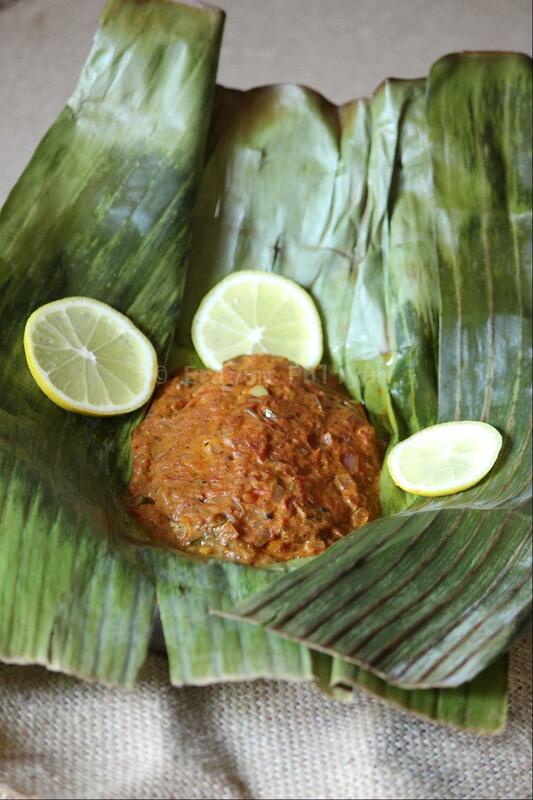 Hi Julie, love the baked fish in banana leaf.. bookmarked it as i have been meaning to cook it this way for a while now. And thank you kindly for visiting my space. I went through a few recipes and pages here and you have some delicious sounding recipes. Loved this recipe. 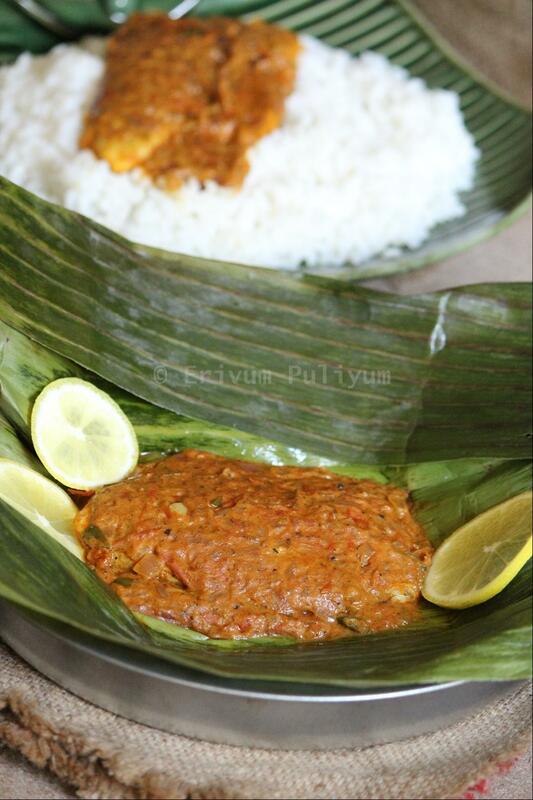 My hus is a huge fan of meen pollichathu and its so difficult to get it in restaurants in Minneapolis. I must give this a try. Thanks a lot for stopping by my blog and leaving such lovely comments. I'll be surely following yours.